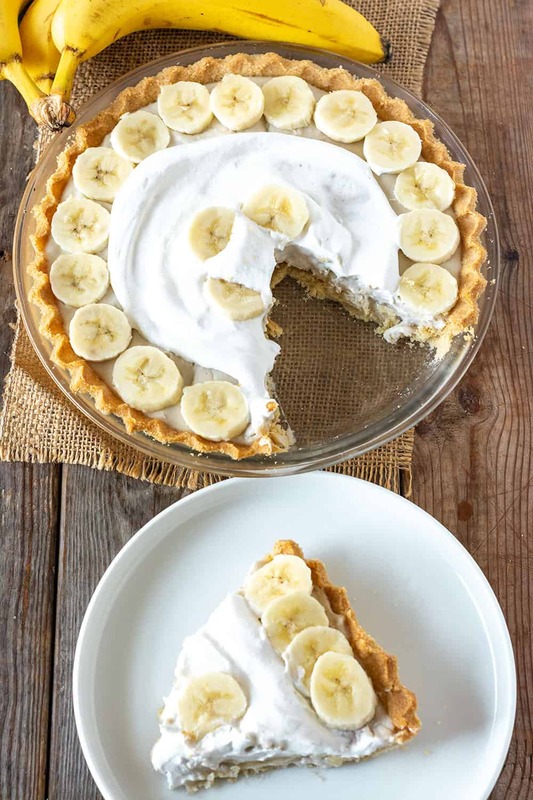 This homemade vegan banana cream pie is so creamy and flavorful. 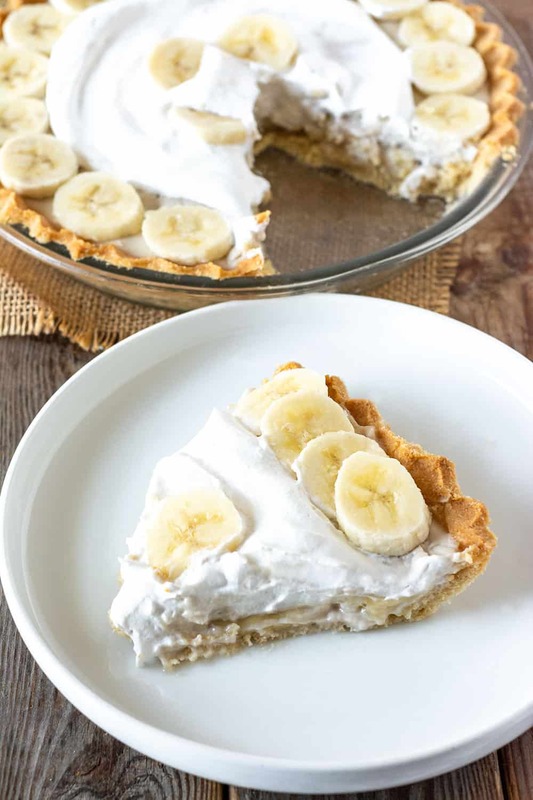 Definitely the best banana cream pie recipe, made from scratch with a creamy vegan pudding filling between layers of fresh banana slices and topped with coconut whipped cream and more banana slices in an almond flour pie crust. If you love banana as I do then you will understand why I layered the cream pie with layers of banana slices. Afterall banana is the key flavor and only natural flavors would work. It was most definitely a family favorite! 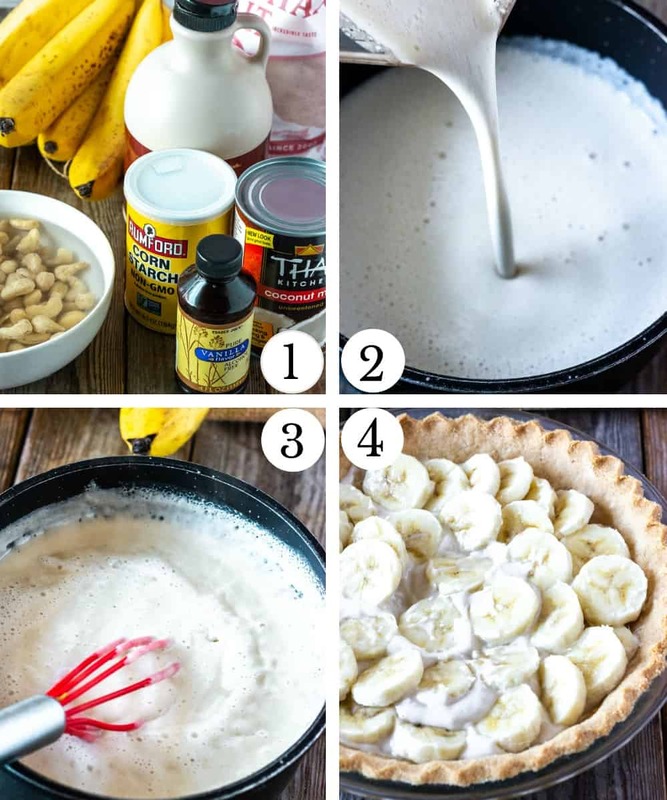 It is definitely an easy banana cream pie recipe! For the filling, I blended all the ingredients, thickened the vegan custard in a saucepan over the stove. Allowed the custard to cool, scooped it in a prepared pie crust with banana slices and coconut whipped topping. 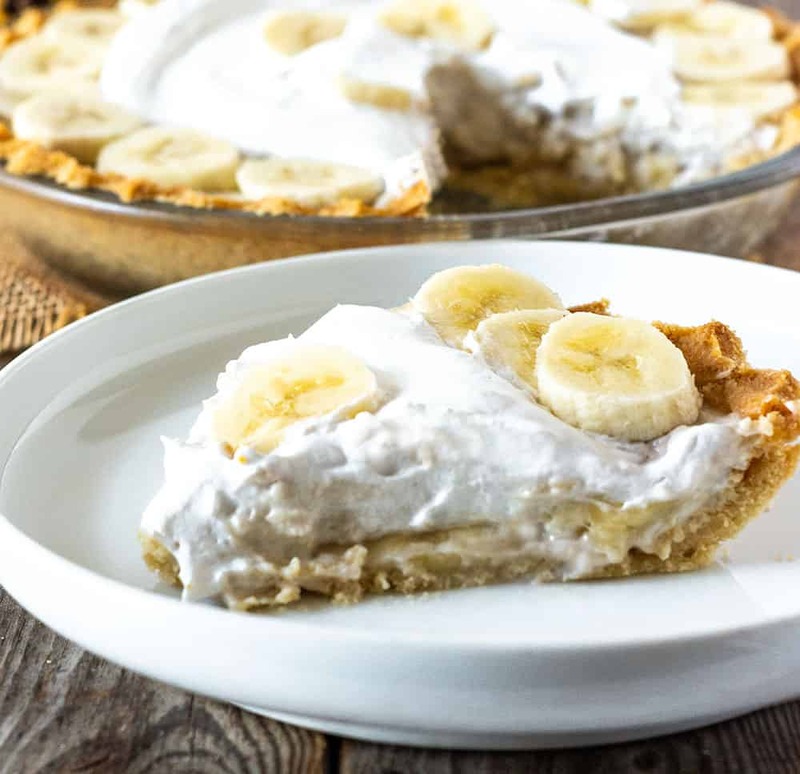 How To Make Banana Cream Pie? It is so easy to make a vegan cream pie, much easier than a traditional cream pie that calls for eggs, butter. milk. When making the filling for the traditional pie, so many things can go wrong like the filling being too runny. For my vegan cream pie, I blended coconut milk. cashews, maple syrup cornstarch, vanilla, and salt, very little can go wrong once you follow the simple steps. To make the banana cream pie filling, add all the ingredients for the filling in a high-speed blender and process until smooth and creamy. Pour filling in a medium saucepan on medium heat, cook stirring constantly with a whisk until filling thickens, about 2 minutes. Remove saucepan from the heat and allow to cool completely. Pour half of the filling into the prepared pie crust. Top filling with banana slices, add the remaining filling. Place pie in the refrigerator for 2 hours to set. Top the middle with coconut whipped topping and banana slices. Yes, your banana cream pie will last for about 2 days in the refrigerator, after this and your banana slices will start turning brown. You can make your pie ahead but its best to leave the whipped cream and the banana slices for when you are ready to serve. Yes, you can freeze your banana cream pie, hold the banana slices and the coconut whipped cream until you are ready to serve your pie. Remove from freezer and allow your pie to thaw for at least 15 minutes before slicing. 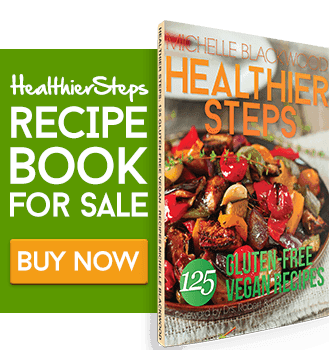 If you make this almond crust, snap a photo and hashtag #healthiersteps — we love to see your recipes on Instagram, Facebook & Twitter! Prepare pie crust and set aside or use store-bought. Place coconut milk, cashews, maple syrup, cornstarch, vanilla and salt in a high-speed blender and process until smooth and creamy. Pour the pie filling in a medium saucepan on medium heat, cook stirring constantly with a whisk until filling thickens, about 2 minutes. 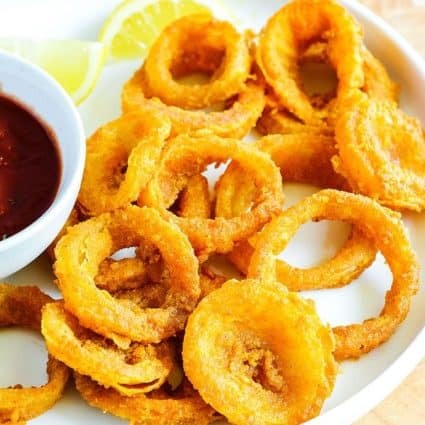 Remove saucepan from the heat and allow to cool completely. Pour half of the filling into the prepared pie crust. Top filling with banana slices (I used 2 bananas), add the remaining filling. Place the pie in the refrigerator for 2 hours to set. Top the middle with coconut whipped topping and banana slices. Slice and serve. 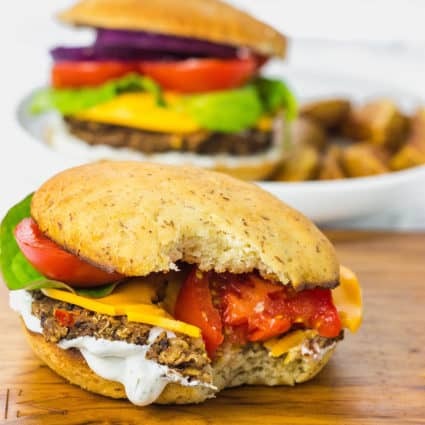 What could you sub the corn starch for? Arrowroot? Yes you can, I have done so in other recipes but I didn’t try with this one.